Building a solid foundation on which to incorporate good supervisory practices is the first step in providing effective supervision to employees. 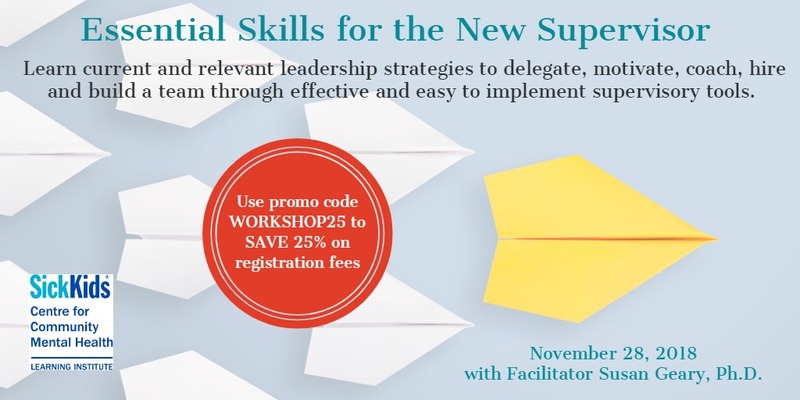 This workshop will focus on the multi-faceted role of the supervisor. Participants will learn how to delegate work and to set clear standards for performance. They will also learn the best practices in giving feedback as well as how to coach employees for improved performance. Interviewing strategies (how to hire the right person the first time round) will also be covered. Time management skills will also be discussed so that Supervisors can free up the time required to supervise effectively. First time supervisors, team leaders with supervisory responsibilities and experienced supervisors will find this course very useful.